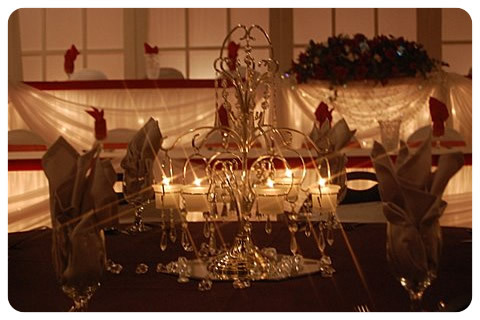 Talk about sparkle! 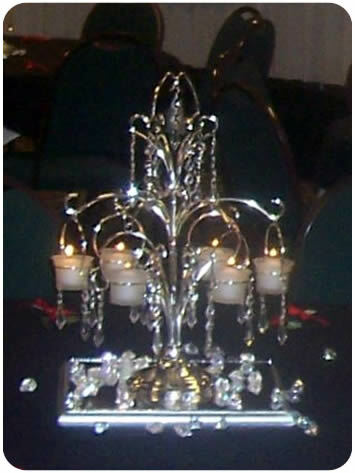 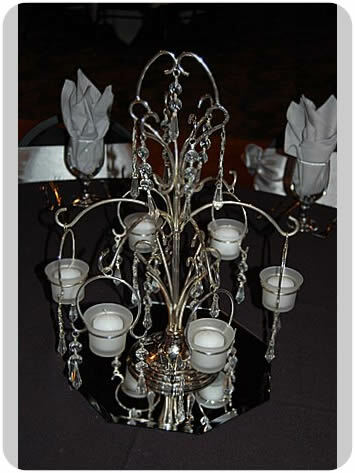 These are simply gorgeous with hanging crystals, shining silver and six candles on each table. 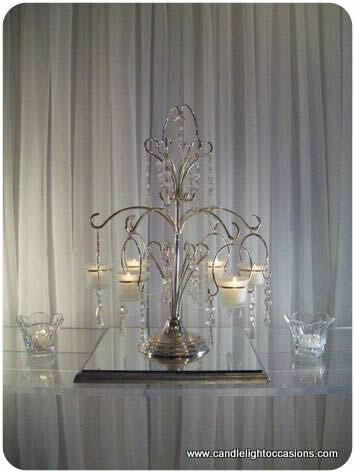 Scatter crystal ice or flower petals for a dash of color.